Are you getting ready to do wedding photography? Where do you start? If you are thinking about cameras, lighting and other aspects of taking a picture, you are only scratching the surface of what you need to become a successful wedding photographer. Technical competence in taking wedding pictures merely lets you think about the idea of making money as a wedding photographer. Your success and the happiness of your clients depends on a whole lot more! When you become a wedding photographer, you are not in Kansas anymore, so read carefully as I share with you 24 things that I learned during my time as a wedding photographer. I know what you are thinking: I just told you that technical competence was only a small part of the whole wedding photography thing, so why am I starting off with it? Well, as a percentage of the whole, it isn’t that big of a piece. But if you aren’t technically competent in being able to do a whole lot of things, you really can’t even get started. So we need to start there! the configuration of the church, reception hall, or the backyard in which the bride wants a picture sitting on Uncle Jake’s tractor (yes, it really does happen). You will be confronted with all kinds of situations on a moment’s notice, and you’d better be prepared to handle them. By way of example, one of my brides (no, I’m not talking about someone I was married to, “my brides” means a bride I photographed) was very excited about being married at the country club where her grandfather had been the president. They were going to be meeting with the coordinator there and I asked if I could meet them there to see the facility in advance of the wedding. When I got there, I found the room where the ceremony would take place had a wall of windows that looked out over a beautiful lake. The clergy, the bride, and the groom would be standing in front of those windows during the ceremony. After seeing that room, I went on to meet the bride and her mother in a room where there were sample albums from other photographers that had shot at that country club. And do you know what I saw? There were two ways in which photographers shot the ceremony. One way was the photographer exposed for the couple and the windows were all blown out. Just a wall of white! In the other album, the photographer shut the curtains – you couldn’t even see that beautiful lake backdrop. These were allegedly shot by professionals, but if it was my wedding, I would have been furious that the beautiful backdrop wasn’t shown. Manually setting your exposure for the outside and then using fill flash to brighten up the interior gives you a very memorable shot and doesn’t take long to do, if you know what you are doing. I can spend a lot of time on various aspects of lighting, white balance, etc. Suffice to say you will be in a lot of low light situations, and in many churches you won’t be able to use a flash. Be sure you have all of your photography basics down stone cold. When I began shooting weddings I was a second shooter for a more experienced photographer, which was a great experience. The guy I was shooting with had three bodies, and during one wedding I shot with him, he had two of them fail. Yes, you read that right. TWO bodies failed at one wedding. I showed up for weddings with three bodies, three flashes, six lenses, way more cards than I needed and eight charged batteries. Sure, it was overkill, but guess what failed one time? It wasn’t the body or the lens or the flash. It was that stupid little sync cord from the flash to my camera (I was using a bracket) that had a short in it. Yes, I had spares of those, also, thankfully. Most of your clients will be on the younger side, and they are very excited about their wedding. Sometimes emotions run high, and there might be family dynamics, divorced parents, an estranged Aunt Ethel, a crazy Uncle Bob, etc., that you have to deal with. And don’t forget, you are expected to know a lot more about how a wedding takes place then your clients. A calm, mature, professional, and friendly demeanor goes a long way towards relaxing everyone and keeping things in perspective. When “a moment” occurs, everyone looks to the photographer. If you get flustered or have that “deer in the headlights” look, it won’t go well for you. Weddings have a large number of people involved, and you can’t please everyone. Sometimes you have a strong bride and groom and they are firmly in charge; but other times, the mother of the bride takes over. In one case I dealt with, the bride and her family were going to go without a photographer because they didn’t have the money, so the mother of the groom was paying. In every case, I made it very clear to all that it was my objective to get as many pictures of as many situations as possible, but when push comes to shove, the bride makes the call and I will prioritize the bride and groom over all others. You need to do this in a nice way, but believe me, at the end of the day, you’ll get more referral business from a satisfied bride than you will from a happy parent. The only thing you have to sell is your time and your skill. And you can only shoot one wedding on one day. If you reserve a date for someone, then turn down another request for that same date, and then the first person doesn’t follow through, you’ve got an uncompensated date. Doesn’t work. Money talks! One way to get people to put down a deposit is to explain that you get requests all of the time and you only hold a date when a deposit is provided. If someone does not provide a deposit, they are at risk of the date being booked by someone else. I’m not sure this advice is something you will see in very many places, but after I did my first wedding, I decided that an engagement shoot was essential. It was so important that when I made a presentation to a couple, I ended by telling them if they booked me and gave me the deposit within three days of our meeting, they would get the engagement shoot free. That had the advantage of getting them to book me right away and got them a “free” engagement shoot. Here is why I did that. On the first wedding I ever did professionally, I had a really terrific couple, but they weren’t naturals in front of the camera. I offered the engagement shoot at no charge, mostly because I wanted the experience of doing an engagement shoot, but there were several other benefits that came out of it. First of all, there was a shyness on their part, which led to a bit of awkwardness overall. I was still learning how to pose people, they didn’t dress exactly right, and on and on. The pictures really fell flat, in my opinion, although there was one nice one that they had framed and on the table at their reception. What came out of that “failed” engagement shoot was amazing. First of all, by the time the wedding day came we were a lot more comfortable with each other and how to work together. They had seen pictures that weren’t terrific and they were much more alive when I turned the camera on them on their wedding day. Furthermore, and best of all, they actually “performed” for me on the wedding day. Part of the wedding day was them being shuttled around in a horse-drawn carriage. After making one particular turn, as they got closer to me, they asked if I got a picture of them kissing as they came into view. They said they did it just for me. The pictures were terrific, and right then and there I determined that I would do whatever I could to do an engagement shoot before the wedding. Wedding day pictures came out so much better when we had time to do a “practice” photo session in advance of the wedding day. I don’t remember where I got this idea, but somewhere I read it was important to have a timeline as people often underestimate the time needed for pictures. So I began meeting with the bride and whomever else was important to the day in advance of the wedding to “plan the day”. 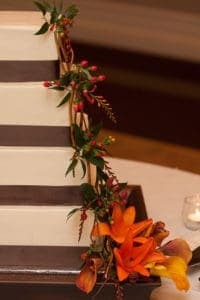 We’d start with the time of the wedding ceremony and work backward collaboratively to schedule all of the activities. When we did that, there was often a realization that things needed to start a lot earlier in the day than anyone realized (due to the time I needed for photography, of course). It was terrific. I’d sketch it out by hand, in pencil, as we worked together, then afterward I would lay out very professionally in Excel and email it to the bride and groom. It worked really well and took a lot of stress off the day as we didn’t get into time crunches. O.k., now I’m sure this looks silly. Why do I mention this? Of course, by now, you’ve got to know there is a story to go along with this, and here it is. I was meeting with a bride, her mother, and her stepmother and we were laying out the timeline for the day. The girls were starting their “getting ready” routine at around 10:00 a.m. and I was to show up at 1:00 p.m. (for some weddings, I would shoot the “getting ready” routines, but this wasn’t one of those). As we mapped it out, I said very clearly, “when are you going to eat? If you don’t eat, some people might get low blood sugar and people have been known to pass out.” The bride kind of blew it off, but the mom was listening and emphasized the whole thing to her daughter. On the wedding day, I showed up promptly at 1:00 p.m., and we began shooting the bridesmaids (o.k., for those of you that are forgetting where you are reading this, shooting means with a camera, o.k.)? As I lined up the ladies and got ready to take the shot (remember, with the camera, not a gun), the tall bridesmaid in the back suddenly passed out and fell over. It was not carpeting, and I actually heard her head bounce off the floor. The girls hadn’t eaten a thing all day and were light-headed. This one actually did pass out, as I had warned. Sadly, this group of young ladies all started screaming and ran off (I’m not sure where they were going), and my assistant and I were left to deal with the situation. I immediately ran over, cradled the woman’s head in my arm, and asked if she was o.k. She answered “no” as her eyes rolled back in her head. Now I was always concerned about my own energy level and blood sugar level at a wedding. I normally had lunch right near where the initial shooting was to take place right before I met up with the wedding party. I also always had a cooler in my car with water, Gatorade, and granola bars. I sent my assistant to my car for a Gatorade and granola bar while I stayed with the woman who had passed out. She recovered and was grateful for my offer of Gatorade and the granola bar. In the meantime, the caterer put together sandwiches for all the girls. And yes, this really screwed up my timeline. A LOT! Advise your bride and her bridesmaids to eat (the guys don’t seem to skip meals the way the girls do), and take care of yourself. You can burn a lot of energy during a wedding, especially an outdoor wedding on a hot day. And while you need to stay hydrated, watch the liquid consumption, as you can also miss a lot of shots if you spend too much time in the bathroom. Ha! I would also ask about family dynamics such as divorces or family disputes that I need to be sensitive to. O.k., I know you’d like a story about this so here is one for you. I asked the question about family dynamics and was told that grandma and the parents had recently had a falling out and that they didn’t even know if grandma would be coming to the wedding. But it was important to know that IF grandma came, just to discreetly get a picture of her with the bride and that would be all. Grandma did show up and we did the one picture. Had I not known that background, I’m sure I would have been trying to haul grandma into all kinds of family pictures and really made a mess of things. But because I asked, I knew where to get the pictures and where not to. Most families have some level of dysfunction, and it may or may not be visible during a wedding. But if you ask in a nice way if there is anything you need to know in that regard, people will usually tell you. In fact, they will probably be glad you brought it up. 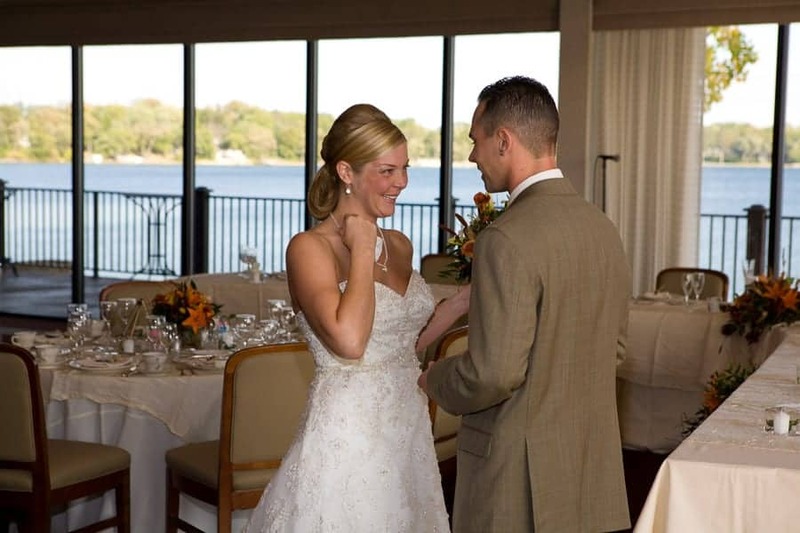 Your clients have spent countless hours and a boatload of money in preparation for their wedding day. 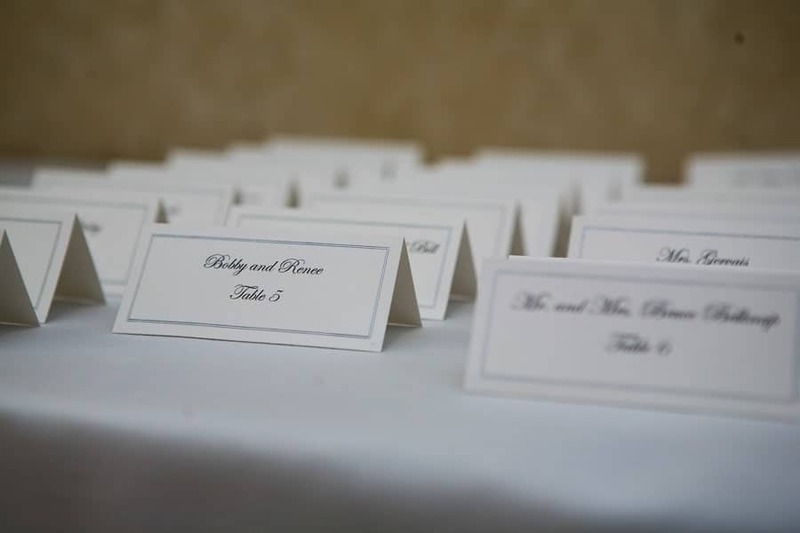 You can be sure that everything from the hairstyle to the shoes, the table settings to the name tents, has been thought through too many times to count. So make sure you take some nice close up shots of all of those little things that are an important part of the day. You’ve probably heard this 100 times, but it does bear repeating. When you try to do formals after the ceremony but before the reception, there is a lot of pressure to hurry up and that isn’t helpful for anyone. If you can do them before the ceremony, it is an awful lot easier. You can use your timeline exercise to help your clients understand this. 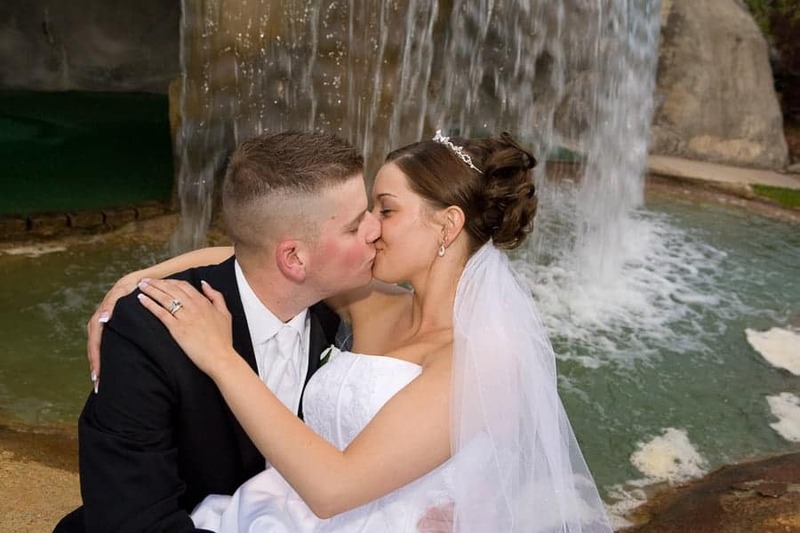 There is the tradition of the groom not seeing the bride before the ceremony, but presented te right way, I found 8 or 9 out of ten of my clients agreed to do all the formals before the ceremony. When I had the occasional clients that stuck to tradition, I could still do a lot of the pictures of the bride alone with her family, and the groom alone with his family, prior to the wedding. This helped minimize the time we needed after the wedding. I started out by investing a boatload of money in equipment and education, so when I began shooting weddings, I wanted to keep all of the money for myself and felt an assistant was a luxury I couldn’t afford. But I had an assistant where I worked in my day job, and she asked me if I could use some help. I was coming up on a big wedding (10 bridesmaids and 10 groomsmen) so I decided to take a shot at using an assistant. 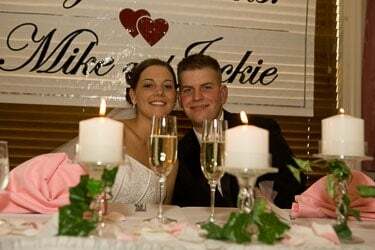 I was fortunate in that my wedding photographer assistant was also my assistant in the office Monday thru Friday from 9:00 – 5:00, so we knew how to work together and especially how to communicate well with each other. She was also a lady that had a very good way with people and a terrific smile. Once she worked with me, I was hooked. It took a lot of burden off of me to have some extra arms and legs to hold a camera, grab something from the car, etc. But more than that, it saved a lot of time to have her straightening the bride’s dress, or arranging that one lock of hair while I was setting up my tripod and camera. From that day forward, I always had an assistant working with me. In my day job (I did wedding photography as a weekend pursuit), contracts were something I was expert at, so I put a lot of time into my contract. You should too, but fortunately, you can start with a really terrific contract that is available here. There are a lot of good legal reasons to have a contract, but beyond that, it is a good way to educate your clients on what is expected of you and what is expected of them. My contract was kind of long. Some of my fellow photographers said no one would ever sign a contract with so much fine print. But actually, my contract had a lot of ordinary English that was easy to understand. I took my clients through every paragraph, explained why it was there, and what our mutual responsibilities were. Because I explained it well, I never had a single issue with someone agreeing to my contract, and I had no issues after the wedding because we all knew what was expected up front, and the client understood that they played an important role in determining how well their wedding pictures came out. Let’s face it, we photographers are not that fond of taking the posed formal pictures, but Moms and Dads sure want to hang one on their wall. I don’t know how many times I’ve heard parents of brides and grooms lament the lack of a picture of “the whole family”. Or how often Uncle Joe died right after the wedding and everyone wanted to see the wedding pictures and get that last picture of him at a happy time. You need to ask your clients to bring a list of family pictures they want to the planning session you do where you put together the timeline. Take it home and look at it and plan your shots. If you start with the bride and groom, then add the bride’s parents, then the rest of the family, etc., you can minimize your time and not have too many people jumping up and down. So do some planning so you aren’t constantly reconfiguring – once Mom and Dad are up there, get all of the shots that include the Mom and Dad. Once you’ve planned it out, print out several copies of that and take it with you on the day of the wedding. Also, email a copy to your clients and ask them to double check it. And then on the wedding day, don’t ignore it. O.k., as to the “don’t ignore it”, here is the story: I shot a wedding at a very nice church and after the ceremony I began gathering people for the formals. Suddenly, the bride said no, that it was a beautiful day and we should go outside and take the pictures on the front steps of the church. I had all my stuff spread out but the bride is the boss so off we went. We were out front taking our pictures and had good lighting, so it was all going well. Except that my clipboard with the list of all the formal shots was back in the church. Ugh. We were kind of shooting from the hip and memory when the bride finally said, “that’s enough.” I said, “wait a minute, let me go back in and get my list and make sure we have everything.” She said no, that isn’t necessary. I said, “are you sure – it will only take a minute for me to go grab the list.” She said she was sure so we moved on. I think you can guess how that ended. After she got to preview the pictures a couple of weeks after the wedding, I sure heard a lot about all the pictures we didn’t get when we did the formals. I reminded the bride of our conversation on the steps of the church and that ended the conversation as she knew she was responsible. But do you think either of us felt good about that? Unfortunately, I was shooting for two years before I learned this trick from a fellow photographer. When you go to do the formals, one of the hard parts is getting everyone together and up front when it is their turn to have their picture taken. I learned that when I was meeting with the clients to do the timeline, I asked if there was a family member that could pull people together, and use the shot list to get people ready and tell them when it was their turn to be in the picture. It was simple. They knew everyone, I didn’t, and it would save a lot of time. What a great time and stress saver this was. It also put the family responsible for making sure we got all the shots that had been identified. If something was missed, it wasn’t the photographer who missed it. It worked really well. Your clients expect you to pose people. This doesn’t just mean the formals, this means things like cutting the cake. This means those romantic moments with the bride and the groom. You’d be surprised how many grooms are a bit shy about giving a romantic kiss in front of everyone on their wedding day. Spend time on this. Learn this. Buy a book. Go to a class. I did all of the above. For models, I found a book for $15 that had tons of poses. I could show my model Page 38 and ask her to strike that pose. That made it easy. Get creative and never stop learning and creating. So many shots that look spontaneous are not spontaneous at all. They were staged, and you can too. Of course, I have a story about that. One bride I worked with lived with her Dad and her parents were divorced. I could tell she was close to her Dad. On the wedding day, prior to the ceremony, I am getting pictures of Dad/daughter. I then asked Dad and daughter to face one another, hold hands, and look into each other’s eyes. I got my camera ready and just waited. It didn’t take long before they both broke down in tears, and their arms went up in a great emotional hug. And I was there to capture it all at six frames/second. You need to really learn weddings, what they look like, what to expect, and deliver on those expectations. Don’t be afraid to create moments. There is a great tendency to make everything candid and that is great if everything unfolds just right. But more often than not, a little planning can create great spontaneity. (I know that sounds like a contradiction, but it is true). You don’t always need to scout a location in advance, but if you can, it might be really helpful. I’ve got two stories for this one. (You don’t know how lucky you are to have such a great storyteller writing this article). There was a lady that approached me to shoot her wedding. It was a later in life wedding, very small (total crowd was about 35 people), but it was a lot of family getting together that don’t normally get together. After much finagling, I agreed to do this pretty inexpensively because while she did want me to capture the small, brief ceremony, she mainly wanted me to just take a whole bunch of family shots on this “magnificent staircase.” I figured I'd set up my tripod, shoot, and it would be an easy day. Because I wasn’t the most experienced guy in the world at this point, I went and checked out the location even though it was 45 minutes from my home. Yes, this place had a magnificent stairway, in a lobby surrounded by windows. And it was wide. And some of these pictures could have 10 – 15 people in them. Well, at this point in my wedding photography career I mostly shot with one light on a bracket on my camera. It was a powerful flash and I had a good diffuser (I probably bought a dozen flash diffusers before finally settling on one), and I found I could make my one flash suit the situation. But not in this situation. I was going to have to use fill flash to balance with the lighting outside. And the width of the staircase and number of people involved meant I really needed two lights in addition to the flash on my camera. Since I’m kind of OCD when it comes to backup, I did have three high-powered flashes, including the ability to have one act as a master and trigger the other two as slaves. I also had light stands because on occasion I did need the additional light. Because of my advance scouting the location, I went home and put together a lighting configuration and made sure I knew how to configure my flashes. In another case I was shooting a wedding with a good friend of mine, who was also my wedding photographer mentor. He lived in another city and I was going to be there so he invited me to come and shoot the wedding with him. I was delighted – he was such a pro that I learned so much from and now I’d get to see him in action. My friend did not scout locations in advance – he had done so many weddings in advance and was so talented that he didn’t need to. This church did present a challenge, though. The pews went to the wall on both sides of the center aisle, meaning the photographer could not move up and down the side aisle (I had planned to shoot from the side near the front). Also, the pastor wanted all pictures shot from the back of the church. This was going to be challenging. My friend and I got there early and saw the complications. But as we looked around, we found that behind the altar was a baptismal. Before the ceremony started, I was able to get into the side of the baptismal, and get a perfect view of the ceremony with the bride and groom facing me. And I could do it without the congregation seeing me. It worked beautifully. Now in this case, “advance” was only a half hour before the photography was supposed to begin, but at least we had the half hour. It worked well. So now you’ve got pictures. What do you do? I used to shoot about 800 pictures at a wedding (more than enough), but some people shoot 2000 or more. Do you just throw them at your clients unedited? If you do, no one is happy. The couple will go blind trying to sort through everything. If you don’t eliminate the shots with eyes closed, someone sneezing, your lighting test shots, etc., I guarantee you will not convince your clients you are a capable photographer. After you’ve culled your pictures, what do you do? Crop? Add some contrast, vibrance, etc.? Brighten shadows? Apply curves? Make the bride look slimmer? Eliminate blemishes on everyone’s face? You’ve got to get good looking photos to your clients. They need to represent you well. But you also need to manage your own compulsion and desire to make every picture a work of art. You might spend 8 hours or more on the wedding day, but if you are not careful, you can spend hundreds of hours on the computer and find that your $2500 wedding earned you a gross hourly rate of $3.47. And if you think I’m kidding, you’d better think again. Efficiently sorting your photos, deciding which ones to show your clients and which ones to keep hidden, is a really important part of the process. While I often shot 800 or more pictures, most heads explode if you give them more than 300 – 400. And in many cases, 200 really good pictures will make everyone happy. If you give your client 200 terrific photos, I can guarantee you that they will be happier than if you gave them those same 200 terrific photos mixed in with 150 mediocre photos and another 50 that weren’t worth looking at. Also, think about your delivery process and what you are delivering and how you will create it and deliver it. Are you giving a DVD? If so, are you labeling it by scribbling on it with a sharpie, or are you printing a classy look on the DVD? Or maybe it is on the web and they just click to download? Whatever you do, figure it out in advance, make sure it doesn’t take you 500 hours of post for a final deliverable, and then set expectations accordingly with your clients upfront including a suggested timeframe as to how long it will take after the wedding to deliver the goods. 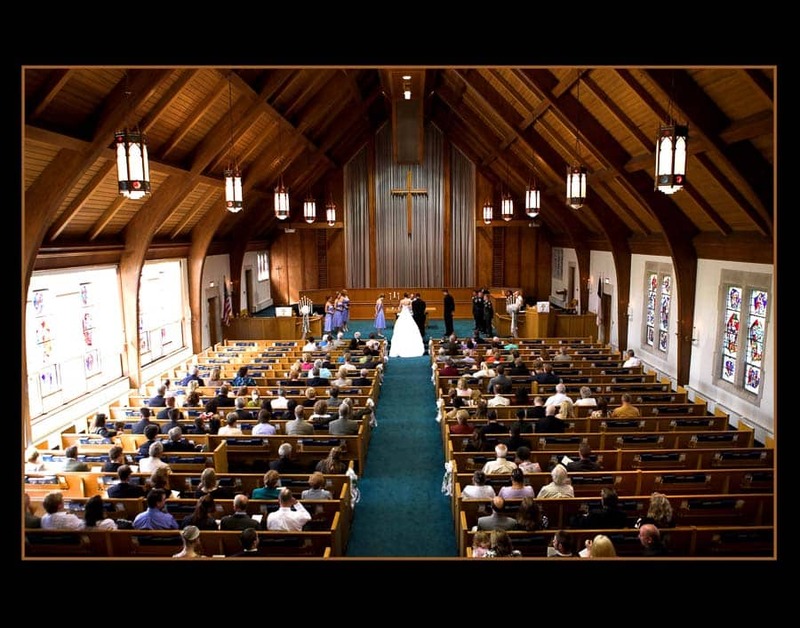 Every church has their guidelines for photographers shooting a wedding ceremony. Some have told me I can’t come up closer than the last row where people are sitting. Another said 1/3 of the way up the aisle. Some have told me I can shoot from wherever I want. Almost none say that flash is acceptable during the ceremony (although I had a clergy member offer to do a re-enactment after the service where I could use flash and be wherever I wanted to be). Once I had a Mayor officiate at an outdoor wedding and that was fabulous from the photographer’s standpoint. But even in that case, I told the bride and groom what I wanted to do and made sure it was o.k. with them. I was also careful not to interfere or distract from the ceremony. When I was shooting weddings, I provided two key deliverables: one was an album, and the other was a video slideshow set to music on a DVD. For albums, I was doing a flush mount album that often had more than one picture on a page or on a two-page spread. I wasn’t very good at album design so I paid my sister to help me. She was pretty good at it. But it was expensive and took a lot of time. Eventually one of my album companies offered a service. Send them the pictures, and they would do the album design. They turned it around in less than 48 hours, they did a fantastic job, and it was very really reasonably priced. I never designed another album once that service became available. Know what you are good at it, and can be efficient at, and hire someone to do those things you aren’t (think CPA to file all your tax forms with the state as one example). You’ve got to be wondering about this. Why is the cake so important? Well, everyone wants a nice picture of the cake. Sadly, lots of things happen to cakes. Kids put their fingers in them; tables don’t get their legs locked in properly and they collapse; or, the cake cutting is getting started and perhaps you totally miss the opportunity to get the “untouched” cake. 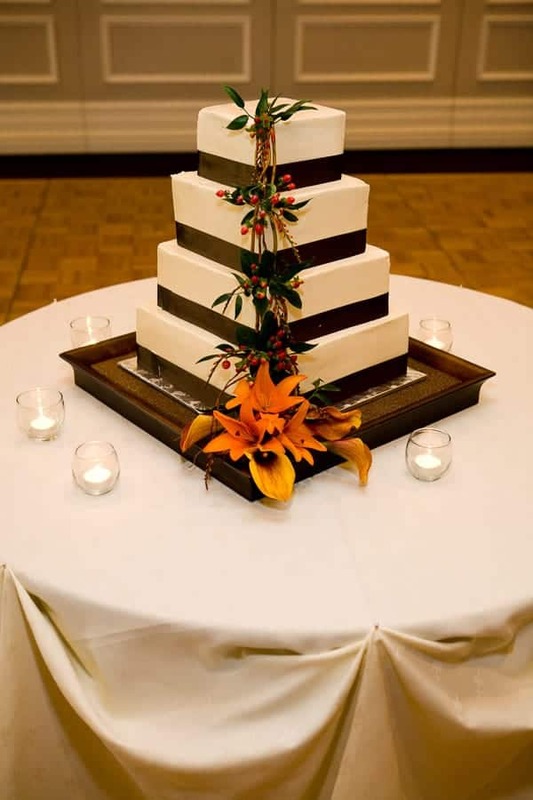 When I arrived at the reception, the first thing I did was get a picture of the cake; and if the ceremony and reception venue are the same, I would often get a picture of the cake before the ceremony even took place. There is a saying that if your clients like you, they will like your pictures. I believe that to be true. I am also reminded of a story (you really wanted another story, didn’t you)? I was meeting with a bride and her mother and father. This was the third of three girls that Mom and Dad were marrying off, and daughter #2 had gotten married just a couple of months before this meeting (the two girls were getting married about 6 – 8 months apart). It turned out that the photography for the first two weddings were done by a big studio in town. They had a lot of photographers and you got whomever they sent out. It turns out that at the wedding of daughter #2, the photographer that was sent out did not have a very good interpersonal style and he alienated a lot of the guests. As a result, the family decided to go a different direction and find an individual instead of a studio. They wanted to meet the actual photographer who would be doing the shooting. What I remember most about that wedding in a beautiful country club was my conversation with the mother of the bride as I was about to leave for the night. She simply said, “Thank you for being so nice to our friends and family.” It really does make a difference. The difference between a successful wedding photographer and an unsuccessful wedding photographer is marketing. I’ve known terrific photographers who sat home on many a Saturday evening when they should have been out shooting a wedding. Marketing includes everything from traditional advertising to social media, and how you package and price your product. And as for packaging your product, there are lots of potential deliverables including a DVD with all of the pictures, albums, prints, and on and on. Today, couples often want digital copies of all of their pictures – figure out a pricing model that lets you deliver that or you’ll be sitting on the sidelines and leaving the weddings to people that do deliver the digital files. For someone starting out in the business, there is a great tendency to underestimate the cost of shooting a wedding and delivering your images. There is also a tendency to undervalue your time. Photography accessories including flash diffusers, brackets, umbrellas, remote lens release cables, tripods, etc. Travel expenses including not just the wedding day but to go to meetings or venues where you will be selling your services and any post-wedding meetings to present your results. Online services to either present images, allow for online ordering of images, to deliver images, to advertise your services or to have a cloud-based backup service. 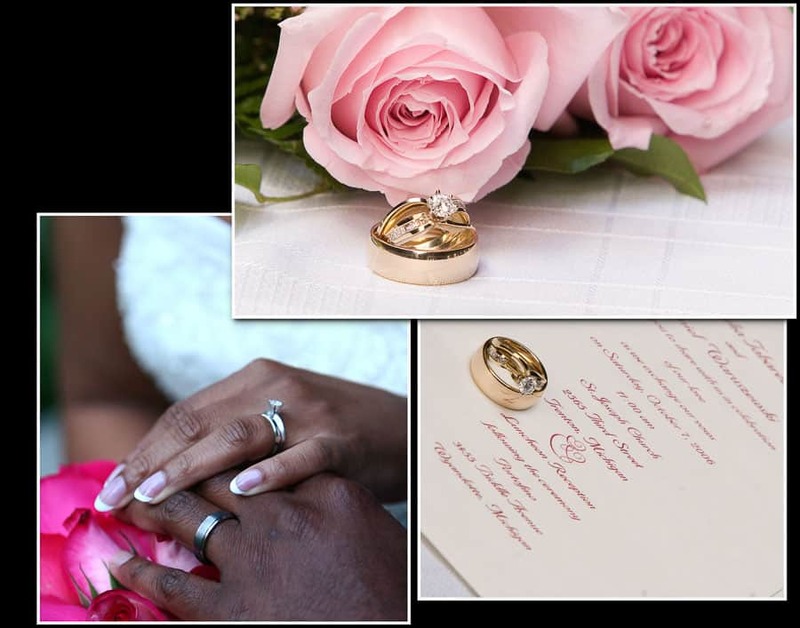 Marketing including the cost of sample albums to present your work to prospective clients, online website creation/hosting/maintenance, giveaways, referral fees to related merchants that may send you brides, etc. Third party vendors you may pay for services such as album design services. And last, but certainly not least, make sure you properly value your time. Especially when you are starting out, you can put in a lot of time before and after the wedding. Post-processing time alone can eat you alive until you get your workflow down. And so yes, you might be working for a pretty low hourly rate until you develop your processes and get over the learning curve. But after a few weddings, you need the time/price equation to net out to a respectable hourly wage AND cover all of your expenses or this won’t be a venture that is financially sustainable. In closing, I will say that while wedding photography can be very stressful, it can also be very rewarding. I’ve had brides and parents literally cry when they saw the pictures. You are really recording one of the most important days in the person’s life. Take it seriously, but also enjoy it. It can be a ball, and can bring a lot of satisfaction in addition to providing an income. Michael Allie is a former wedding photographer who enjoys many types of photography including, travel, landscape, nature, and wildlife. He lives in Southeastern Michigan.